VAST Abstract, LLC is a full-service title insurance agency serving Pennsylvania and New Jersey, in both English and Spanish. Our specialty lies in our customized closing services and the ability to accommodate complex settlement needs. We provide comprehensive title insurance protection and professional settlement services on residential, commercial, and industrial properties. VAST Abstract, LLC is a full-service title insurance agency serving Pennsylvania and New Jersey, in both English and Spanish. We provide comprehensive title insurance protection and professional settlement services on residential, commercial, and industrial properties. Our specialty lies in our customized closing services and the ability to accommodate complex settlement needs. VAST has a team of title professionals that are here to work for you. We all share the common goal of closing on your real estate transaction and work diligently to meet your timeframe. VAST has a streamlined process in place to quickly and correctly deliver clear property titles. Freddy & his team have handled many closings for my office over the years. The Vast trademark is that they always go out of their way to make sure the deal gets done! They have built an exceptional staff that are courteous, cooperative, professional and strive for client & customer satisfaction! Freddy and his team are wonderful! Easy to work with, professional and very efficient. We order title with them and never worry about a thing. The whole team is a professional group of knowledgeable people that are available for questions or help throughout the process, we enjoy having transactions with them because they make our jobs EASIER! 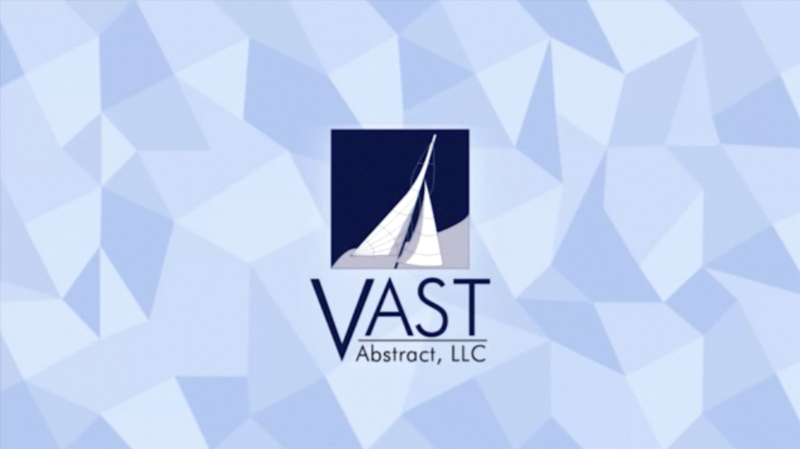 VAST ABSTRACT is a valued partner in our mortgage process, they make the transactions easy and less stressful for our customers. Very professional and efficient. Everything was handled on time and all paperwork was explained to me before I signed it at the closing. – Monica H, 77 Hampton Dr.
Well organized. I know I was in good hands! – Kiki X, for the property at 600 Trenton Rd. I’ve heard horror stories of settlement taking hours but I was in and out in less than 30 minutes. Settlement was so efficient that it could be done during your lunch break. – Sudha P, for the property at 326 Laurelane Rd.